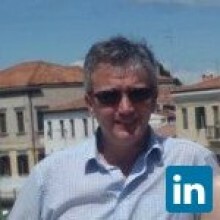 An experienced Researcher, Project and Technical Resource Manager, across the UK, Europe and East Asia. International experience as Business Development Manager for The University of Bamberg; completing MoU's and joint project business proposals with two Taiwanese universities and external stakeholders in Mainland China and Japan. Leading, co-ordinating and managing teams and the technical support for projects in Germany and Taiwan. Key role in research development in Higher Education, with senior university staff, for funding applications, coordination and submissions to EU and Germany funding agencies. •	More than eight years’ international experience providing increasing levels of leadership in planning, coordination and product management. •	Writing, editing and submitting business proposals and applying to funding agencies for Bamberg University. •	Adept at working on multiple ideas and project areas. •	Operations management for several cultural heritage sites. •	Delivery of digital image training to Conservation Masters students. •	Responsible for technical and human resources, including occasional staff and volunteers. •	Skilled in strategic planning and implementation; able to prioritize effectively, multi-task and achieve objectives within time and budget. •	A clear communicator to internal and external partners and clients; able to present to diverse audiences and negotiate agreements. •	Known for building and developing strong relationships with clients and external stakeholders in the European and Asian market. Specialties: Operations Management,Research, Funding Applications,Technical Resource Management, Digital Imaging Project Management, Product Marketing, Project Development, Business Planning and Customer Focus. The main functional areas in business are addressed across the themes of Managing Relationships, Managing the Value Chain, and Managing Knowledge, providing you with a comprehensive overview of how modern organisations operate. Alongside this specialist expertise the programme cultivates a broad perspective on the management of complex organisations, management decision making and the personal and professional skills needed to operate effectively in dynamic international contexts. This is achieved through integrative material on the themes of Managing in a Global Context and Managing Strategically, exploring issues that run throughout the programme and across the functional themes. Die Vermessung und virtuelle Darstellung von Bauteilen ist im Bauwesen, Immobiliensektor und Kulturgüterschutz unverzichtbar. Technische Probleme ergeben sich dabei durch große Höhen, schlechte Zugänglichkeit und geringe Nutzlast der Böden. An diesem Punkt setzt das Forschungsprojekt RECORDS an. Development of bids with Bamberg University; providing advice and guidance to departments looking for EU and National funding. Development of International agreements and business development. Digital research project with the University of Bamberg: Multispectral imaging. Stills and video capture, editing, color fidelity in image creation, distribution and archival of data. Remote camera operation to capture objects at height. Coordinator for project areas in Germany, Taiwan and the UK. Responsible for the logistical activities, estates management, marketing, equipment testing evaluation, dissemination and commercial exploitation. Assessment of markets for product placement and strategic calculation for future sales. Analysis of the development and results from test locations, providing feedback to construction teams to effectively modify product before launch. Writing project proposals for funding through the EU FP7 programme and the Bavarian government science department. Research: Digital Documentation, Marketing methods and exposure of product in the European sector, Optical-non-contact Analyses methods of Architectural Surfaces. Developing techniques for image capture and analysis in stills and video. Using movie industry cranes and altered 3D heads for remote capture with cameras and laser scanning equipment. Investigating potential partners for a European Union proposed project, identifying appropriate technical experience, and market research for comparative and competitive systems. Project management and coordination of research project in Germany; providing liaison with Taiwan on proposed cooperation and Memo of Understanding. Administration and budget control for project. Responsible for creating and writing successful national and European project proposals for digital heritage – setting technical requirements, evaluation, exploitation, successful completion in EU application and Bavarian government scientific programme. Development of a Multifunctional Nano coating for the preservation of mass produced papers and plastics science project in FP7 (Theme 6 Environment including Climatic Change) proposal with the Fraunhofer Institute; project partner allocations, segment of the budgets and application submission. Secondment to Taiwan: As part of Bamberg’s strategic involvement in international cooperation for business, over a period of three years as the Business Development Manager. Making contacts with Universities in Taiwan and China, providing the mechanism for Memo of Understanding and arranging joint project proposals for submission to the NSC for funding. Liaison with Pingtung university for cooperation project on E-learning; scripting, creation of video and distribution over the net to include laser scan data when applicable. English Heritage representative on the EU funded FP5 VITRA project. Coordination with European partners in Germany, Italy and France. Supervision of the digital imaging implementation for photogrammetry and providing advice on media production to internal departments and external organisations. Color reproduction control and advice to external stakeholders. Still and video production with manipulation and output to HiDef print or DVD authoring. Oversaw external media outlets producing imagery for the national archive, quality control, logistics and liaison with all pertinent departments. Office administration and Technical Officer for the Institute of Advanced Architectural Studies.